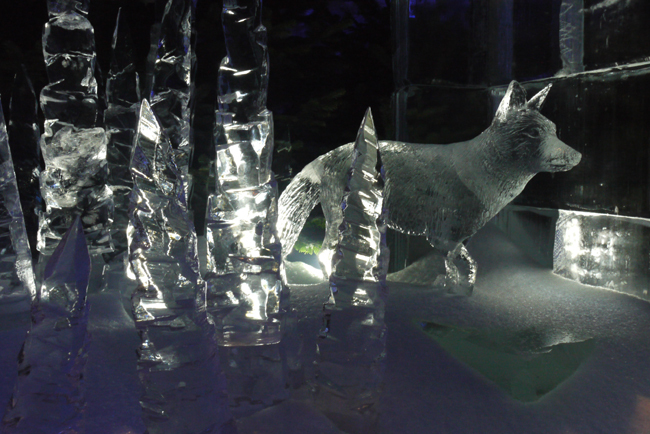 A few weeks ago I was lucky enough to get a private sneak preview of the Magical Ice Kingdom installation in London's Hyde Park before the attraction opened to the public. 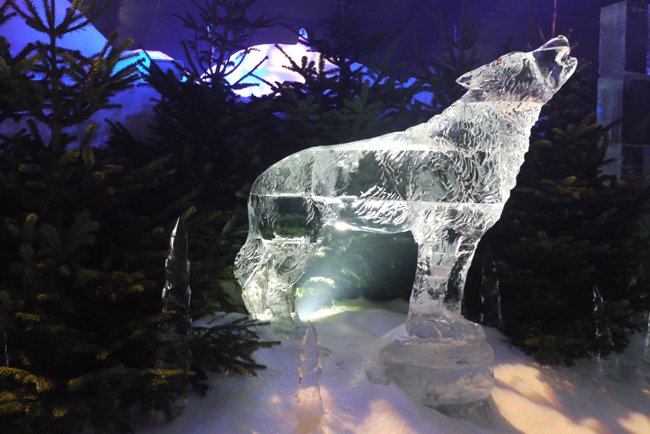 The Kingdom forms an exciting, new part of Hyde Park's annual Winter Wonderland event that sees a corner of the vast park turned into Christmas town each year, complete with ice rink, wooden-hut market stalls, fairground rides and much more. 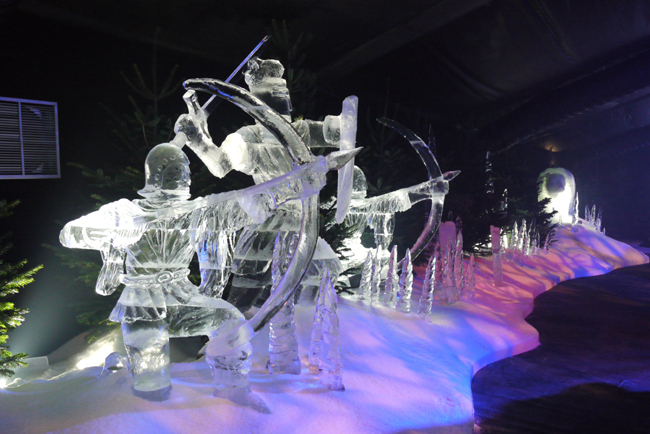 The Ice Kingdom is the biggest installation of its kind ever in the UK and features amazing sculptures carved from ice specially shipped in from Canada. 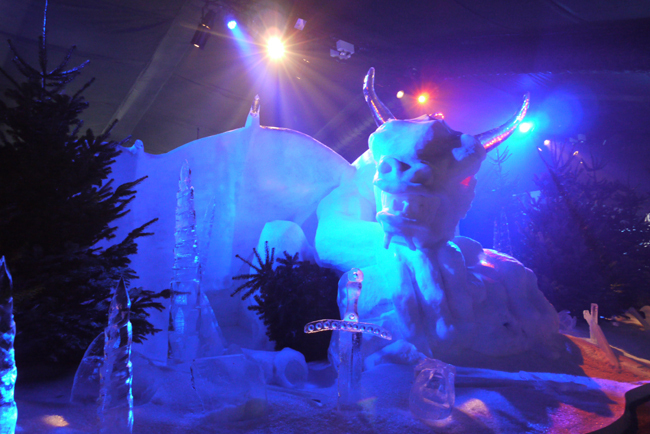 Upon entering the -8 degree Kingdom, visitors travel through a number of themed zones, meeting various magical creatures along the way before taking a seat in the ice carriage and a tumble down the ice slide. 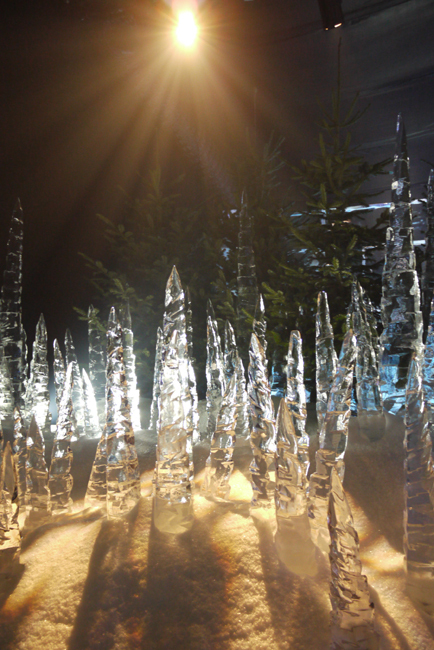 The sculptures were created by the team at Hamilton Ice Sculptors and lit with cold-white LED fixtures to give the ice an ethereal glow. Care had to be taken that the lighting didn't melt the sculptures, so LED lamps proved the ideal solution as they generate very little heat. 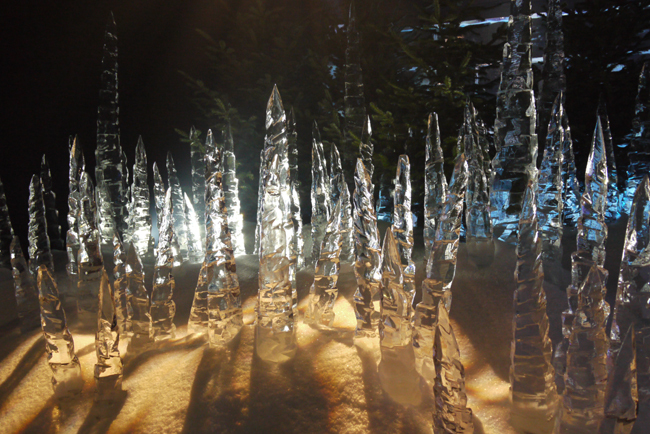 With real snow and fir trees littering the Kingdom, and a new ice cold creature to encounter around every corner, visiting the Magical Ice Kingdom felt like I'd stepped into Narnia when the White Witch was at the height of her power. I would highly recommend a visit should you be in London this festive season . . . just watch out for the dragon! 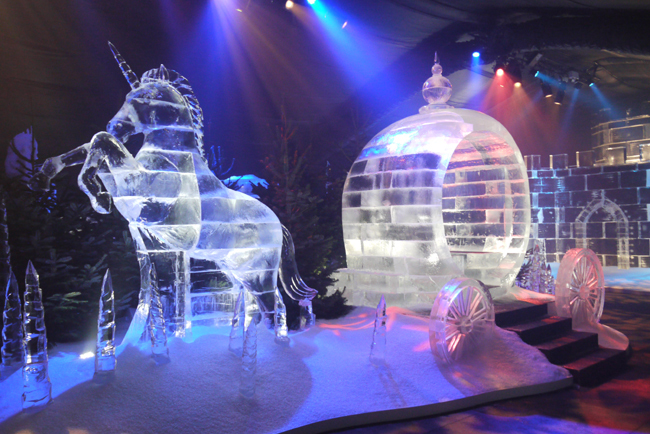 Let Lily Know: Have you visited the Magical Ice Kingdom? What did you think? Tresor Paris is a leading brand for fashionable jewelry that stocks rings, earrings, bracelets and necklaces. You will find plenty of designs and styles from which you can take your pick. These products are made from magnetite crystal balls that are known to be beneficial for health issues such as skin problems and muscle pain. There are various collections of jewelry available among which Tresor Paris Orion is most popular. The bracelets, necklaces and earrings available under this collection are truly splendid. The crystal balls are available in different colors. From red, blue, yellow, green you will find every type of color from which you can take your pick. These jewelry products come with a black cord that looks extremely stylish. The earrings available under the Orion collection are essentially studs. They are quite reasonably priced and hence making your purchase will not be a hassle at all. They are made from either titanium or surgical steel. The rings are made with crystals and magnetite which are available in colors like light blue, red, yellow, pink and green. These are essentially meant for the ladies. Similarly the Tresor Paris Orion anklets are also available in a variety of colors from gold, light blue, lilac to orange and black. The anklets are slightly highly priced but by availing the discounts and offers you will be able to get them quite easily without any hassle. The necklaces are available with 10mm ball size in sterling silver. From gold, to red, to pink and grey you will find these products in different colors. These ladies necklaces are sure to mesmerize one and all. Choose to go for the one that will look best on you. These products are popular among Tresor Paris celebrity. Yes, you will be interested to know that from musicians to reality TV stars everybody is keen on wearing these products. The bracelets are most attractive and you will find that they are made from pearl, tiger eye, magnetite, and crystals. You can find that these are available in different cord colors like lilac, white, grey, gold and light blue. They are essentially made from sterling silver, stainless steel. If you are planning to dress up this festive season and considering of purchasing Christmas jewellery then go ahead and make your purchase from this reputed brand. Christmas is time for loving and giving and these jewelry items are the perfect gifts to give your near and dear ones. 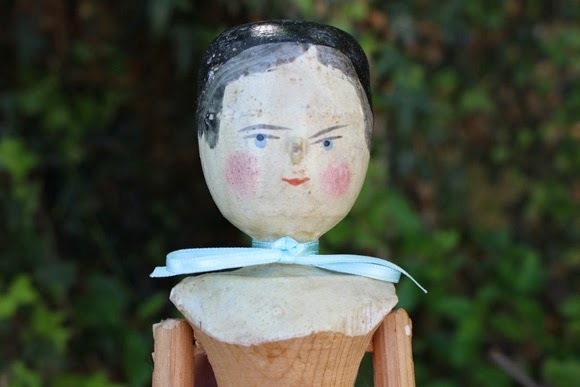 You will truly be satisfied when you are giving such a wonderful gift to your loved one. Moreover, these are quite reasonably priced and hence making your purchase will never be an issue. So, go ahead and find an authentic store from where you can make your purchase without any worries. Log onto tresor-paris.com.au and find an extensive range of Tresor Paris Orion jewelry items. You will that each and every Tresor Paris celebrity is wearing them. This festive season purchase Christmas jewellery from this brand. Please don't spam my blog like this. 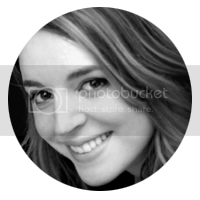 If you would like your brand highlighted, you need only email me and I'll do my best to help.